Alison Moore placed 1st at the SWOSU Invitational Speech Tournament on Saturday. 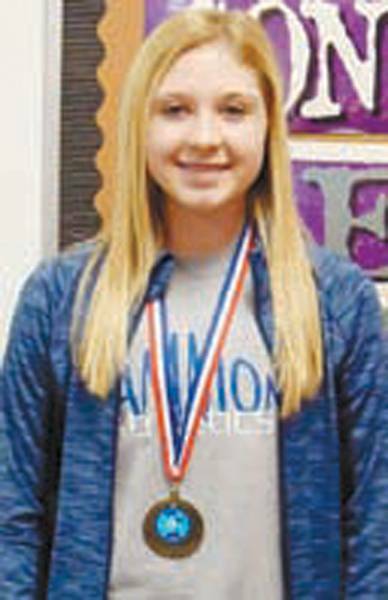 Her 1st place win in Standard Oratory qualified her for the Regional Tournament which will be held March 11-12 at NWOSU. Attending the meet with Alison were her Speech Coach, Brenda Archer, Principal Mike Higgins, her parents Larry and Lorri Moore and her grandmother, Frances Malson. Way to go Alison!